If you’re one of those people who simply adore spending time outdoors, in the fresh air – welcome to the club! 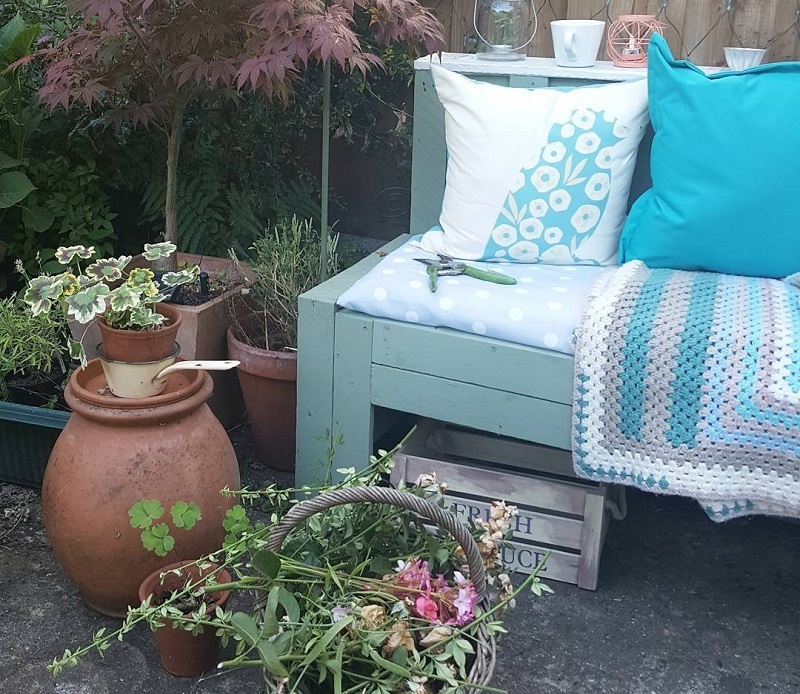 You’re definitely at the right place, as we have six amazing tips to help you jazz up your patio or deck and enjoy your time there even more. Just keep on reading and check them out! The first and one of the easiest ways to jazz up your outdoor space is to give your patio furniture a complete makeover. This is particularly important if the pieces you own are already worn out, but you don’t really want to buy new ones, so get paint in your favorite color and get down to business! You can also use a stencil to draw flowers or any other patterns, just be sure to seal them with varnish in order to protect properly. 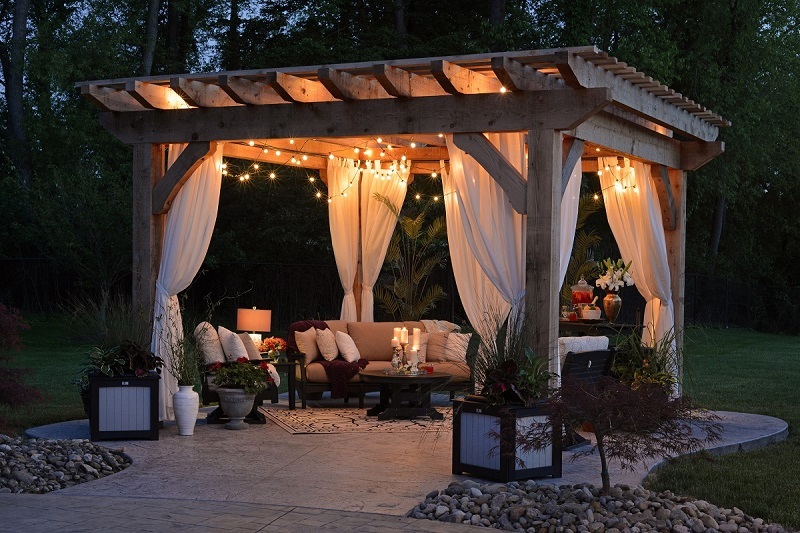 As for the lighting, we must say that string lights are definitely one of the best options out there. 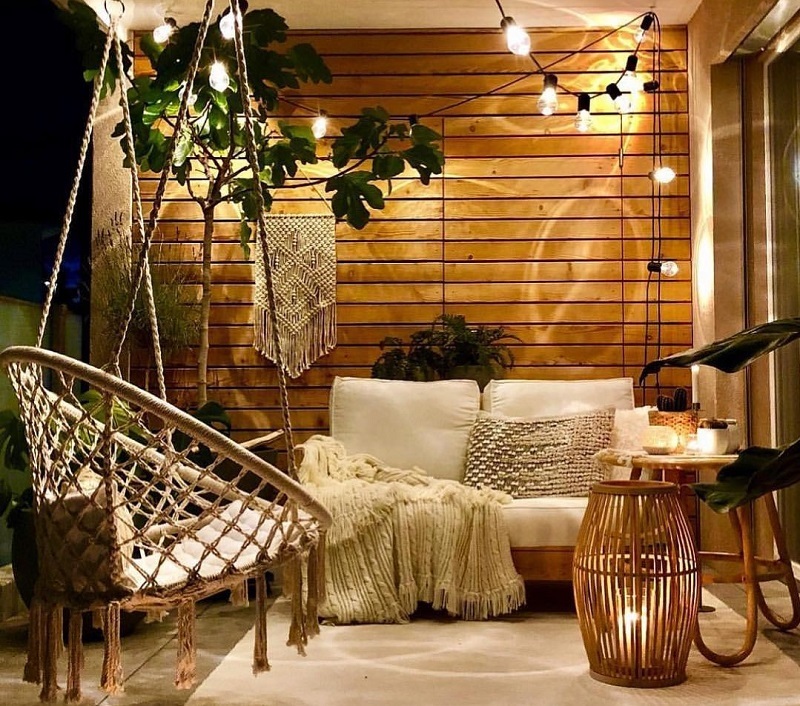 These will contribute to an enchanting atmosphere while providing just the right amount of light, so that you can spend your evenings outside reading your favorite book. Apart from these, hanging light fixtures are also a great choice, and these, too, will contribute to a fairy-tale setting everyone will adore. Coming up with a perfect spot to spend time with your family and friends means that you’ll have to do anything it takes to provide enough shade. Blocking the sun is surely one of the most important things you should take into consideration, and one way to do it right is to install quality outdoor awnings that can provide shade when you’re outside. Retractable ones are a fantastic choice as they can be retracted once you want to go inside. Patio umbrellas can also be a great option, especially if your patio is quite small and therefore doesn’t have too much space for anything else. A lot of people say that jazzing up their patio is all about adding a pop of color, and you know what? We totally agree! However, we must say that you should pick one color palette and stick to it no matter what. For example, if you decide to paint your patio furniture black, you can add a few decorative cushions in literally any color you like. Needless to say, bright shades like turquoise blue, hot pink, and fiery orange are always a good choice, but if these aren’t really your cup of tea, you can opt for pastels like soft pink, light blue, or pastel lavender. You won’t make a mistake either way! Another essential step when it comes to sprucing up your patio or deck is adding greenery, and it depends on how much free space you have. Potted plants are definitely the best possible option, as you can easily move them around without making an unnecessary mess. Besides that, you can always opt for plants of different sizes, so that you make the most of your space. 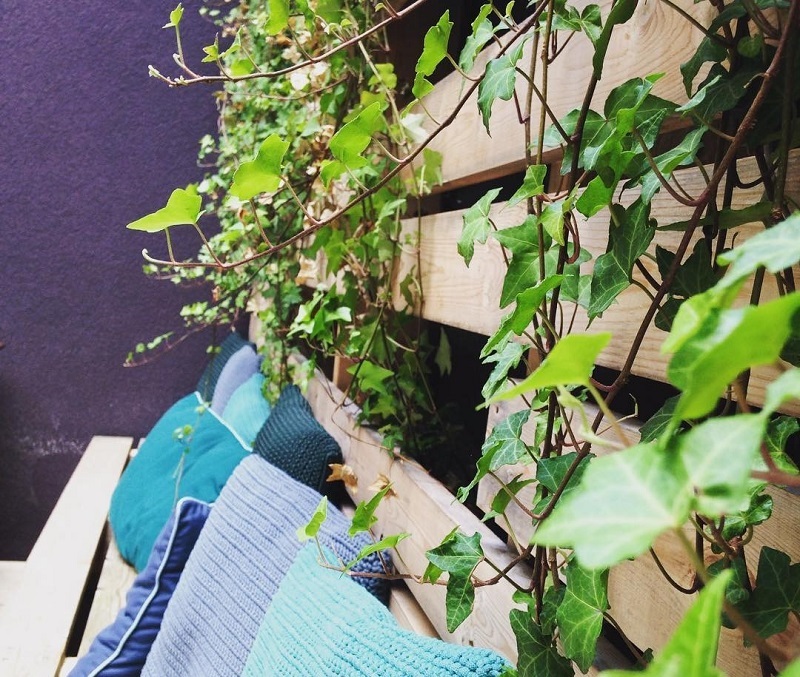 Plants that can climb right up, like an evergreen ivy or a perennial rose are perfect for really tight spaces, so be sure to opt for them if you want to add a more dramatic vibe to your patio. Last but not least, even the smallest water feature can make a huge difference and take your patio to a whole new level, so make sure to take it into consideration. The sound of running water is said to have soothing and relaxing effects, which is exactly why you should give it a try. Of course, the size of your fountain or any other water feature largely depends on the size of your patio, so bear that in mind and you won’t make a mistake! As you can see, jazzing up your patio or deck has never been easier – all you have to do is to stick to our tips in order to get it done. Just follow your guidelines and you’ll quickly see a fantastic improvement you’ll be proud of!